Although I wrote everything I know about squirrel issues for this website, oftentimes a problem with squirrels in the attic is beyond the scope of the do-it-yourself homeowner to solve. I have found a professional company in Anaheim, California that handles problems with wildlife. 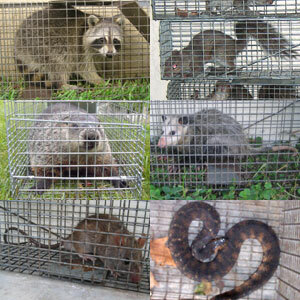 A Team Services, Inc. has access to tools, techniques, and experience that help them do a far better job at wildlife removal than a non-experienced homeowner could. They possess licensing that allows them to do certain types of work legally, that non-licensed homeowners in the state of California are not allowed to do. For the welfare of your situation, and the squirrels, in some cases it's best to hire a pro. There are good companies and bad companies out there. I've done research on such companies, to get to know them, and feel confident recommending their services. I therefore recommend a company called A Team Services, Inc. which services Anaheim, California. If you have a squirrel problem, or any other conflict with a wild animal, and live in Anaheim, I am confident that this company, A Team Services, Inc., is the one to call. I asked the company to describe their service range, and they said this - We operate in the Anaheim area of LA, including the towns of Stanton, Villa Park, Orange, Placentia, Garden Grove, Cypress, Buena Park, and Fullerton. A Team Services, Inc. operates 24/7, so don't hesitate to call at any time to discuss your wildlife problem, and schedule an appointment for same-day or next-day service. This is one of those odd questions you might have some insight on.... Your site has been very helpful in helping me figure out how to solve my squirrel problem. I live in the Chicago area and didn't want to trap and euthanize the squirrels that got into my attic over the weekend (by chewing dormer fascia), so I found a company that does no trap "eviction" by using excluders. Here is their information in case you'd like to include it on your site. When they installed the excluders, they also put wire over the other roofline dormers that the squirrels could reach and chew. Here's my question: How long will the squirrel keep coming back and trying to get in? So far, he has only been trying to get back in the excluder that he came out of. If he tries other similar corners on the house, he will find wire. It has been a day and a half (he's been out for 2 nights), but he was there this morning trying to get in again. When will he give up? Is there a common time frame? I want to know when I can rest easy! He was only in our attic for 3 nights so I'm hoping he's not so accustomed to it that he keeps trying to find other ways in for days or weeks. Thank you for your website (and for encouraging people to be humane to the squirrels). My response: Unfortunately it varies. Some squirrels never attempt to chew their way in. Some keep at it for up to a week. If it's a female with young trapped inside, it will be very determined. However, there are probably no young at this time of year. If you have a squirrel problem in Orange County California, or any other conflict with a wild animal, I am confident that we can solve it. We use humane methods when dealing with Anaheim wildlife removal situations. Squirrel Control Anaheim. Our company is fully licensed and insured in California. Call us any time at 714-408-9588 for a price quote and to schedule a same-day or next-day appointment to solve your squirrel problem in Anaheim.